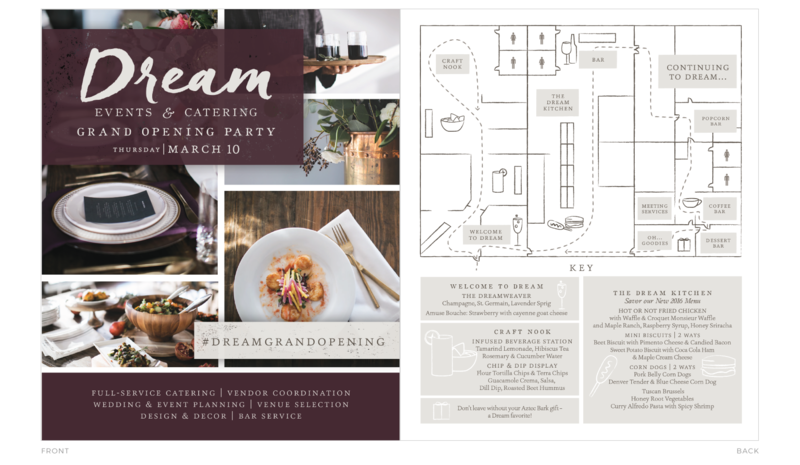 Under new ownership, Dream Events & Catering in Nashville TN hired Krista Chapman and Path & Compass to rebrand their catering business and sharpen their marketing strategy. 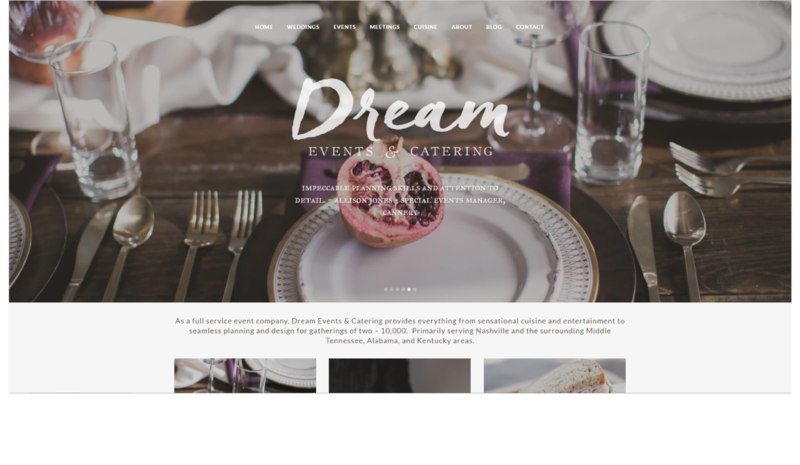 The companies continue to work together as Path & Compass now manages their website, blog, social media, marketing budget and strategy to help this small business to reach more dream clients. 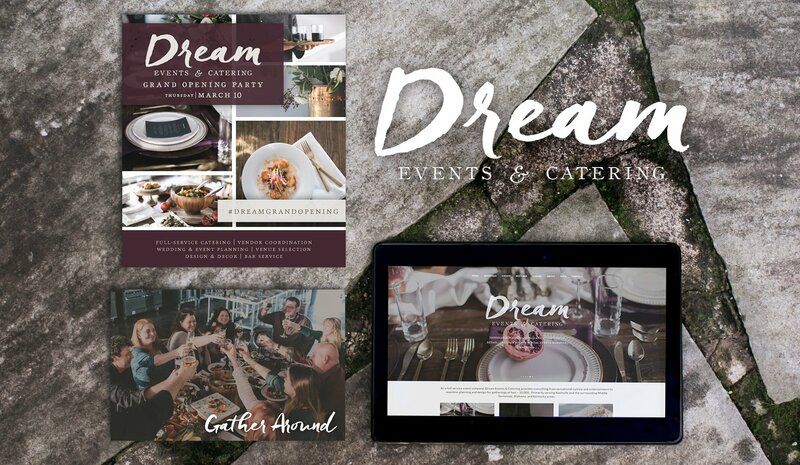 Dream Events & Catering has been in the business of providing delicious cuisine and seamless event planning for greater middle Tennessee for more than 25 years. 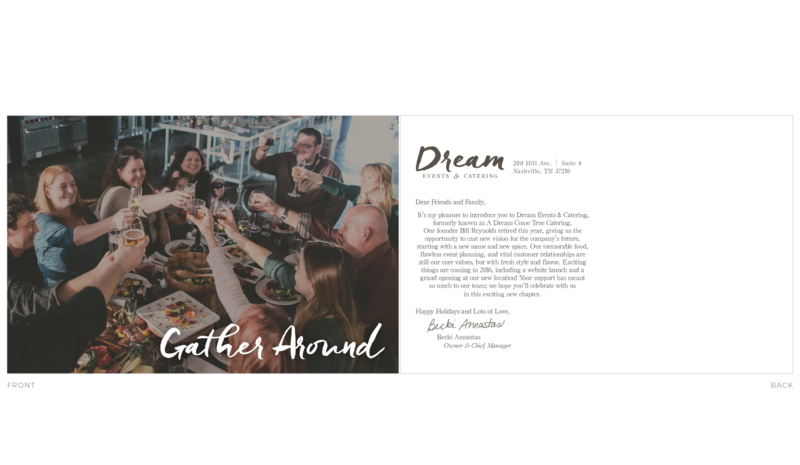 When long-time manager Rebecca Annastas took ownership of the company in 2015, she sought guidance from Path & Compass to rebrand the business and sharpen their marketing strategy. 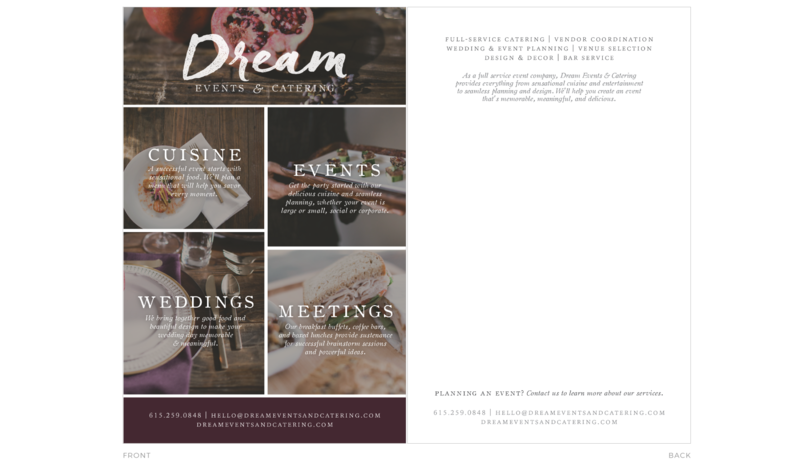 With a fresh, modern brand that matches the quality of their work, Dream lives up to its name as a leader in Nashville’s events industry. Working with Path & Compass has been life changing, not only for our current business, but for our brand and the culture of our company. 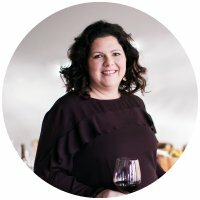 We were unsure how to transition from our past to our future – from the company we’ve been, to the company we wanted to be. Path & Compass not only guided us, but they put a voice, vision and action to our thoughts, hopes and dreams. Everything was done with forethought, precision and perfection. I cannot imagine any other way to have done what we wanted to do, with an impact that exceeded way beyond our expectations. They will be part of our business model for a very, very long time.